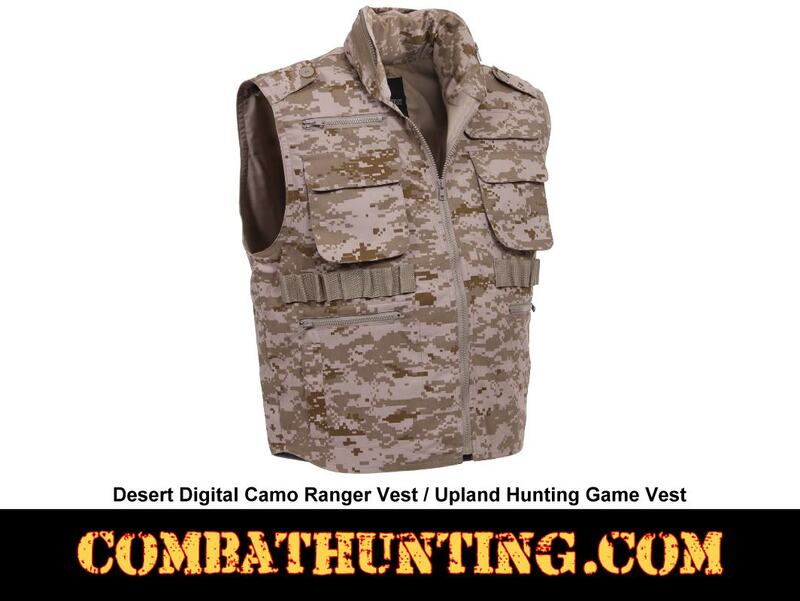 This Tactical Military Desert Digital Camo Ranger Vest can be used for Upland Hunting Game Vest for men, it is constructed with shotgun shell carrier loops on it. 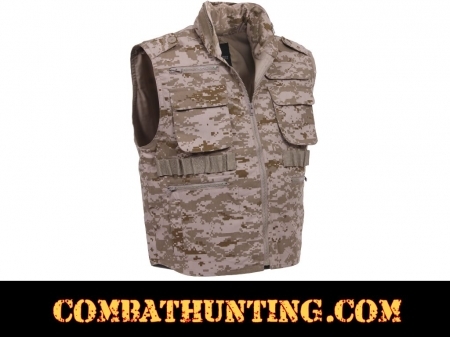 This Tactical Desert Digital Camo vest is made from cotton polyester material and features eight front hook loop and zippered pockets, rear Velcro style hook and loop game bag on the back, shotgun shell loops and a zippered collar with hood. 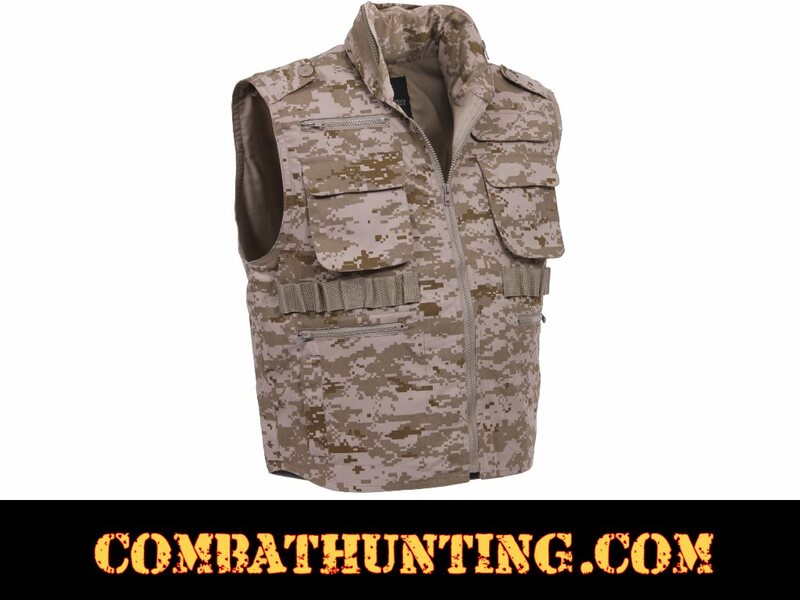 The vest is available in 6 colors including Woodland Camouflage and Black. Size From Small Up To 6X Available.